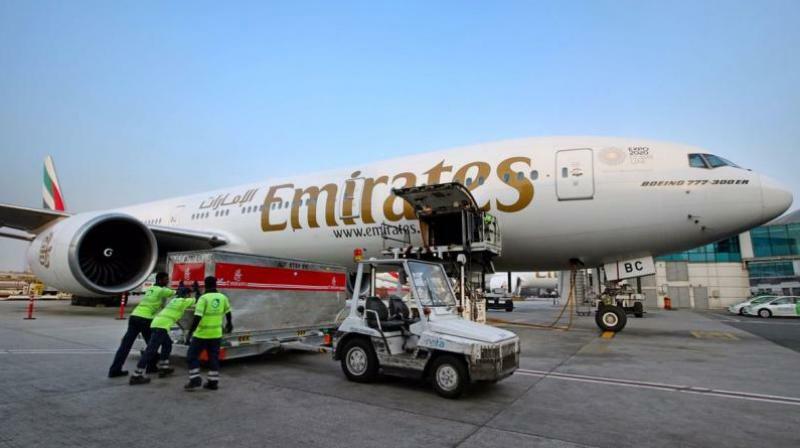 Dubai: An Emirates airline flight from Dubai was quarantined at New York's John F Kennedy International Airport on Wednesday morning after passengers became ill during the flight, the airline and New York news media said. Emirates flight 203, a double-deck Airbus A388 carrying about 500 passengers, landed shortly after 9 am EDT (1300 GMT), according to an airlines spokeswoman. The spokesperson said 10 passengers fell ill on the flight from Dubai to New York. New York media outlets had earlier put the number at about 100 passengers. "Emirates can confirm that about 10 passengers on board flight EK203 from Dubai to New York were taken ill," the spokesperson said. "On arrival at JFK, as a precaution, they were immediately checked by local health authorities and those needing medical attention will be attended to." Officials from the Port Authority Police Department and the US Centers for Disease Control and Prevention were on scene, according to news station WNBC, but did not immediately respond to requests for comment. The mayor's office also did not respond to requests for comment.